In your summer adventures, if you happen upon an old broken-down, dilapidated homestead – with maybe only a few weather-worn boards where a shack stood 100 years ago – you will likely find a rhubarb plant leftover from a long forgotten garden. That’s what my dad says. 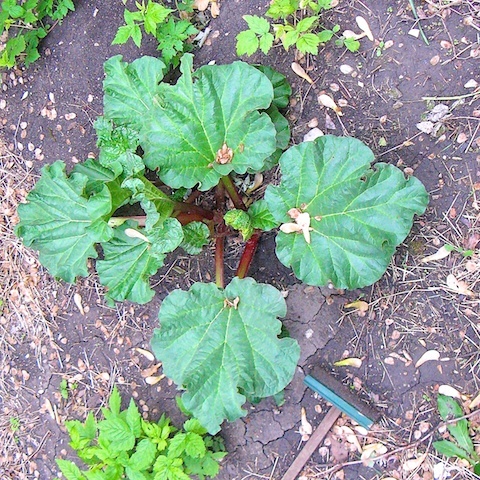 Rhubarb plants are that hearty. Now I realize not everyone will be stumbling around homestead country – but tomorrow’s Memorial Day holiday does usher in summer vacations: The season of family reunions and visits from distant relatives and picnics with elderly relations who have wonderful stories of long ago. And it’s just possible some of those family reunions may be hosted on great-grandmother’s farmstead, or a great uncle’s old fishing cabin; rhubarb grows across the country from New York to Oregon. Do a bit of scouting. 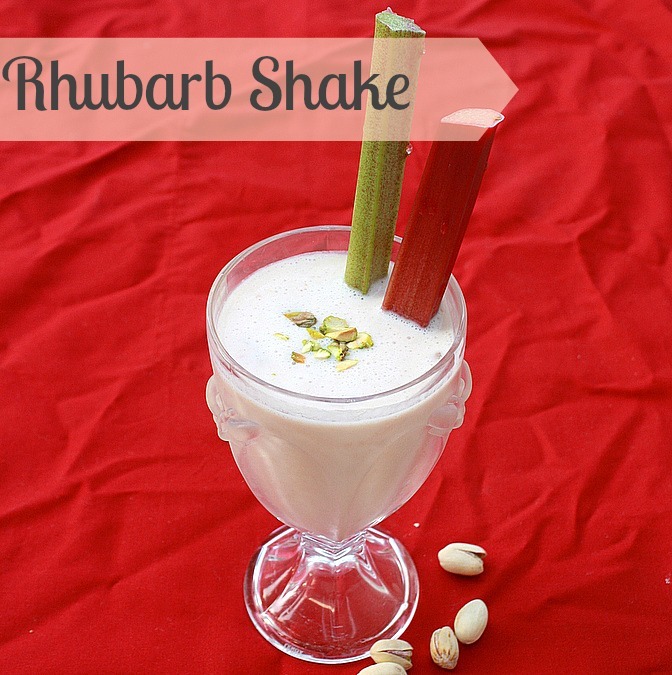 When I saw it I just HAD to try out the rhubarb and rose flavors – whizzed with thick Greek Yogurt and honey. 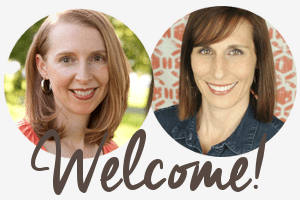 It was so good, I absolutely had to share….in hopes that you are lucky enough to stumble upon more rhubarb very soon – be it in a field or a farmers’ market. Note: Rose water is very potent. So to avoid a perfume-flavored shake, start with only about 4-6 DROPS of rose water; then taste. That sounds awesome! I love rhubarb desserts, but this looks like an especially simple and delicious one. Will have to try it this season! Yup, I’m a rhubarb dessert lover too. Thanks for stopping by and let us know when you get a chance to try this shake! I wish I would just stumble across rhubarb in my everyday life! Instead, I have to buy it, but I do it with pleasure. This shake is a must try! I’ve never done rhubarb and rose together, but there is a first time for everything! With dear, older family generations. Great question Kristell. You could find rose water in the ‘international’ section of the supermarket – often with Indian foods or Middle Eastern foods. The rose and rhubarb is a great combo. But you don’t need it. You could substitute vanilla – or just leave it out. This looks delicious! I’ve started seeing rhubarb pop up in the store recently and have been excited to start stocking up. This recipe would be perfect for breakfast or dessert! Yup! Shakes for breakfast…now you’re thinking the way I think! Enjoy rhubarb Kelli.